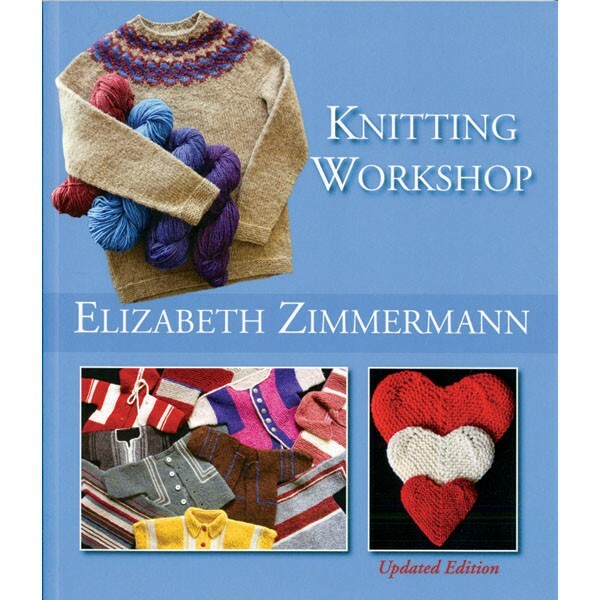 Elizabeth Zimmermann's Knitting Workshop, which guides knitters from beginner to master status through carefully created lessons, has been a bestseller since its release. The expanded edition retains Elizabeth's original text as the heart of the book, with wide columns on each page filled with annotations, new techniques, and editorial notes. 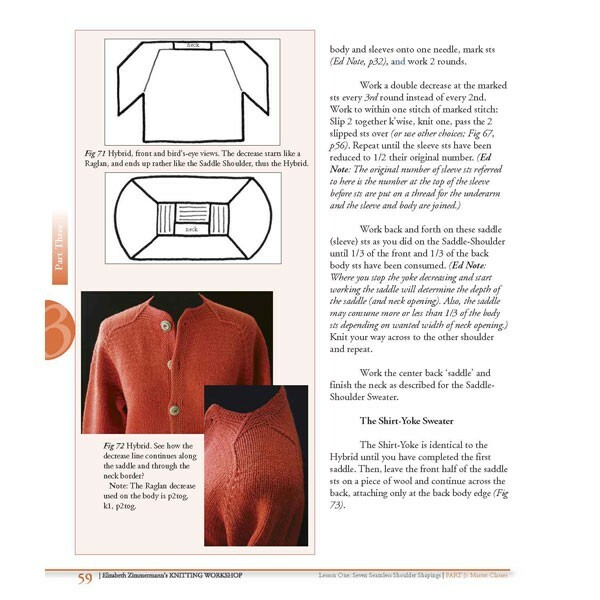 The book has been updated with color throughout, along with some of Elizabeth's previously unpublished journal writing and expanded directions and sizing for the garments. 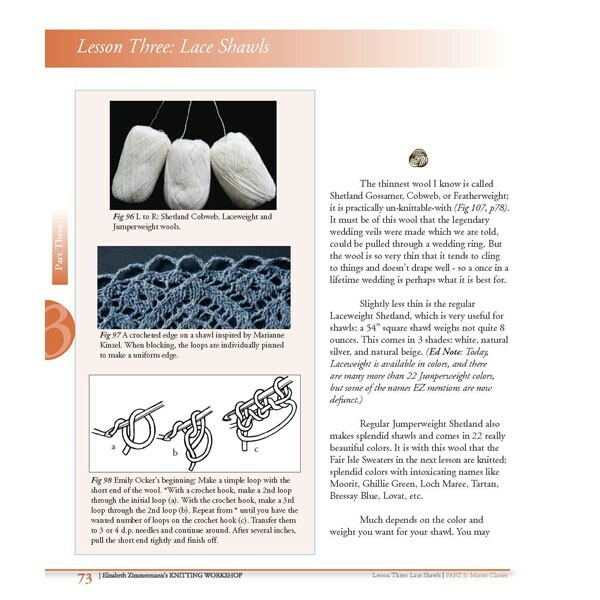 Included are the Baby Surprise Jacket (now with row by row instructions), the Epaulet Sweater, an Icelandic Yoke Sweater, the Heart Hat (with Cully's row by row directions for six sizes), the Rorschach Sweater, and many more of EZ's beloved favorites. 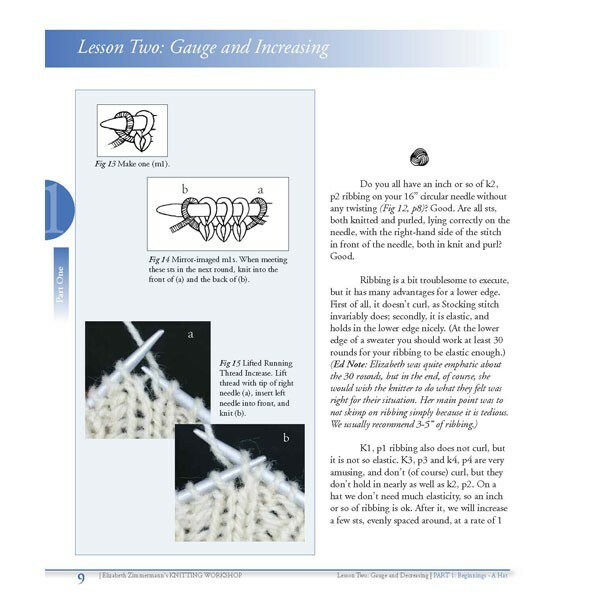 A wonderful book for beginning, intermediate, and master knitters, who often tell us they return to Elizabeth's book time and again for inspiration and technical help. Softcover.